During my spare time I am one half of Team CheeseDriver, joining the online phenomenon of let's-players and sharing our love of games with a wider audience. I am responsible for the branding, video editing and most social media profiles for the group, and I am also currently developing a hub website which links to all of Team CheeseDriver's online activities. The team can be found on Youtube, Twitter, Facebook, and has its own Steam curator page for game recommendations. 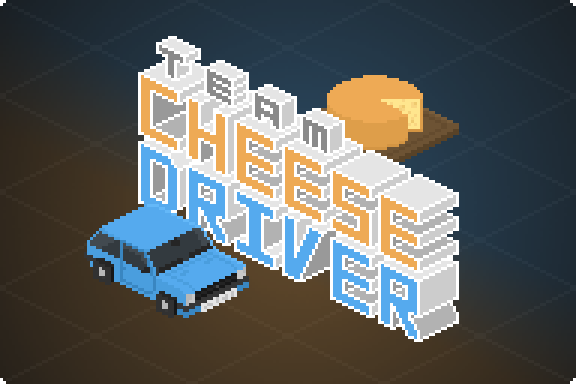 The Team CheeseDriver logo. The name "Team CheeseDriver" is a combination of the members' online screen-names - davecheesefish (myself) and MetroDriver. Given the group's focus on gaming, I went for a low-resolution isometric pixel art look to all of the branding. The car in the front of the logo is MetroDriver's actual Austin Rover Metro, while the cheese wheel in the background is in the shape of a certain famous gaming character. Throughout all of the group's materials, each team member has their own colour - orange for davecheesefish and blue for MetroDriver - which are both distinct yet complimentary and increase individual recognisability. 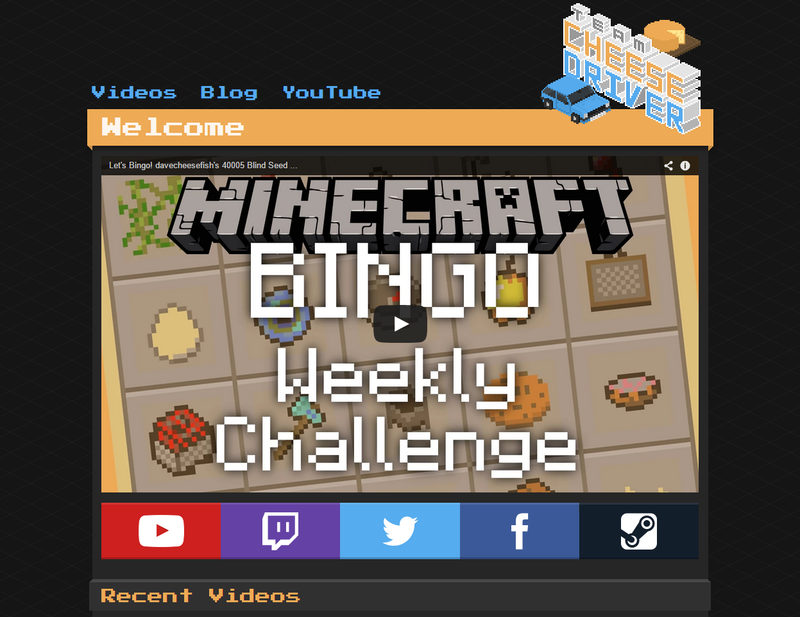 A work-in-progress screenshot of the new Team CheeseDriver website. The latest video is displayed largest, front and centre to gain the most attention. 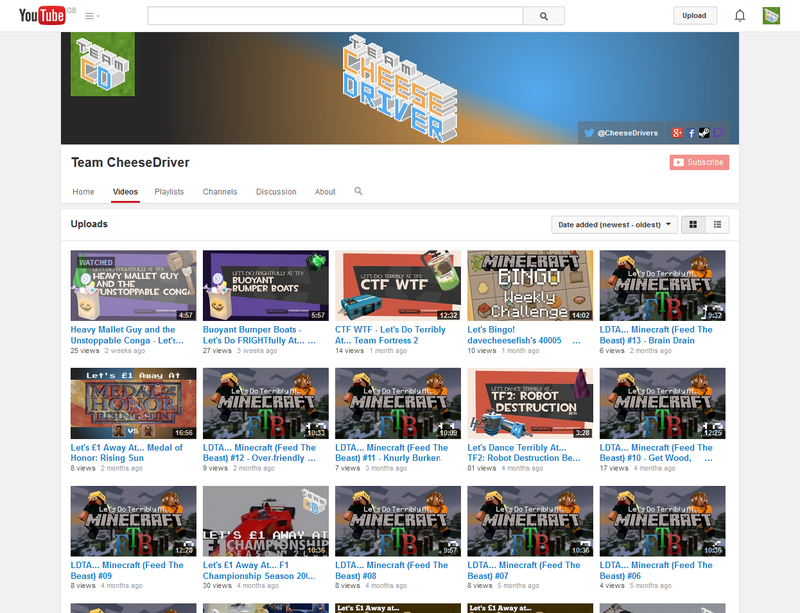 Below are bold links to all of Team CheeseDriver's online profiles on YouTube, Twitch, Twitter, Facebook and the Steam curator page. The site is not planned to be a replacement for the YouTube channel but to be a complement, somewhere to send new viewers to learn more about what the team does and the other social profiles it can be found on. Team CheeseDriver's YouTube channel, where all of the videos are uploaded.